In early 2017, Kristina Mollo received her Florida Real Estate License and quickly started working hand in hand with Broker, Amy Miller, and Realtor, Jenni Owens. Diving into real estate was a big step after previously spending over 6 years working in the event planning industry. As the lead Weddings and Events Sales Manager for Big City Catering, a boutique style company based in Central Florida, Kristina felt it was time for something new! Real estate seemed like the obvious option. Having dealt with 100’s of Brides and Grooms, Kristina has found a way to bond with each person she meets in a unique way. Charisma, patience, and professionalism are key especially when working in a highly emotional sales process (including buying a home for the first time). 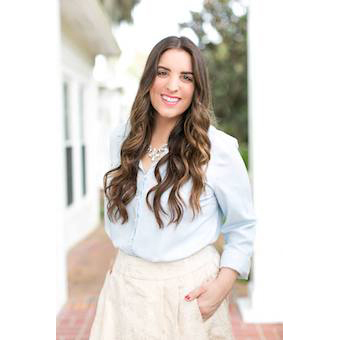 Kristina has always had a passion for people, home design, and much love for Central Florida. Having lived all over the region for the past 10 years, Kristina is thrilled to be able to show her clients around a place so special to her. She looks forward to being not only a knowledgeable resource for home buyers, but a friend that can walk them through this exciting process!